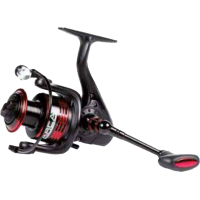 Fishing reel finished in a black color with red details. 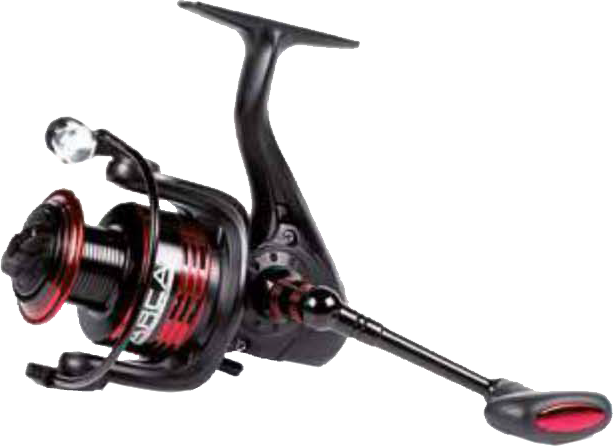 Graphite body, high quality interior, 6 ball bearings and an additional aluminum spare spool. Excellent price / quality ratio.